Shadows: Amsterdam (Libellud, 2-8 players, ages 10 and up) is the newest entry in the micro-genre (that includes Dixit and Mysterium) of “guess what the other people are guessing about ambiguous pictures” games. The ambiguous pictures, in the case of Shadows, are a multitude of charming, somewhat dark paintings of what is best described as a furry-noir Amsterdam-by-way-of-Zootopia. Anthropomorphic animals tend tulip fields, enjoy clog dancing, and take romantic selfies, but also lurk in doorways, bribe officials, discover bodies, and brood menacingly in the 150 or so images that make up the game’s board and deck of cards. Thematically, the game is a race between teams of private eyes (or as one team against the clock) to solve an unspecified mystery by navigating your team’s pawn to the locations of clues while avoiding locations with police. These locations are marked on a map visible only to each team’s “dispatcher,” whose job it is to give the clues to their teammates. Here are some recent game releases of note and some of what I've been up to in hobby gaming over the past month or so. Android: Shadow of the Beanstalk Fantasy Flight Games, $60, Players, Ages: 12+ I have been looking forward to this book ever since it was announced by FFG following their retirement of the Netrunner card game, also set in the Android universe. Shadow of the Beanstalk is a 256-page sourcebook for use with the Genesys Roleplaying System. Two years ago, I got to talk to the creators of Genesys at NovaCon before they got scooped up by FFG. Genesys is a GURPS-like universal RPG system that allows you to roleplay any time period, setting, theme. Also like GURPS, it is designed to greatly encourage narrative play and DIY themes and settings. Shadow of the Beanstalk is a campaign setting for the Android universe centered on New Angeles, the city that is home to the beanstalk, the space elevator that has afforded humanity cheap and easy access to space (and has subsequently attracted every megacorp, criminal enterprise, and hacker/"runner" faction). When The Worlds of Android background book came out, many said it was so close to an RPG setting, they ached for the game mechanics to actually play it. These mechanics have arrived with Genesys and Shadow of the Beanstalk. As we have written about before, the game crafting (or dungeon crafting) scene has exploded over the past few years. There are dozens of websites and YouTube channels devoted to every aspect of making and crafting for the tabletop and RPG gaming hobbies, from building custom gaming tables, to crafting terrain and miniature dungeons, to making DM screens, dice towers, modeling, converting, and painting miniatures, and much more. 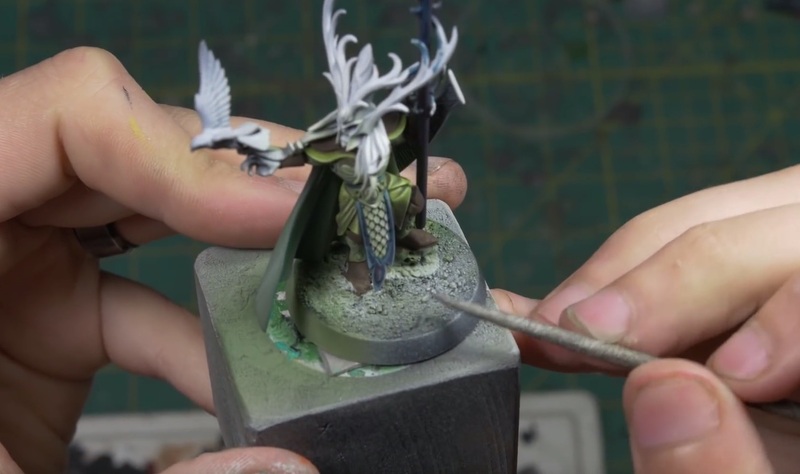 One of my maker pals, James Floyd Kelly (a tech book author and long-time Make: contributor), jumped onto the game crafting bandwagon last year when he launched his Game Terrain Engineering YouTube channel. Jim's channel grew very quickly and he has now become one of the rising stars in that community. And with good reason. Jim is ambitious and clever. And relentless. By the end of the year, he had decided to go into producing game crafting media as a full-time job. 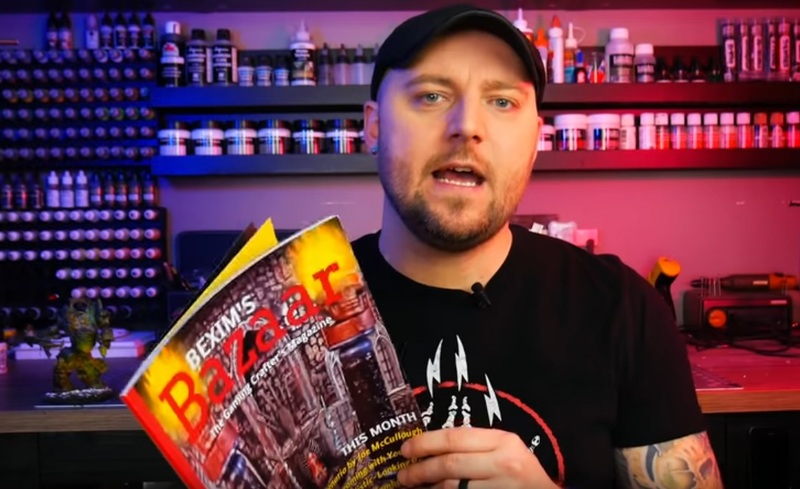 He relaunched his YT channel as The Tabletop Engineer and announced that he was launching a new monthly magazine devoted to the gaming hobby, especially focusing on game crafting. Called Bexim's Bazaar, the magazine will be monthly. It will mainly exist as a PDF publication, but on-demand print copies will also be available. The PDF version is yours after you become a Patreon sponsor of The Tabletop Engineer for US$2/month. Print copies of the issues (around 90 pages) are available on Blurb for $18. 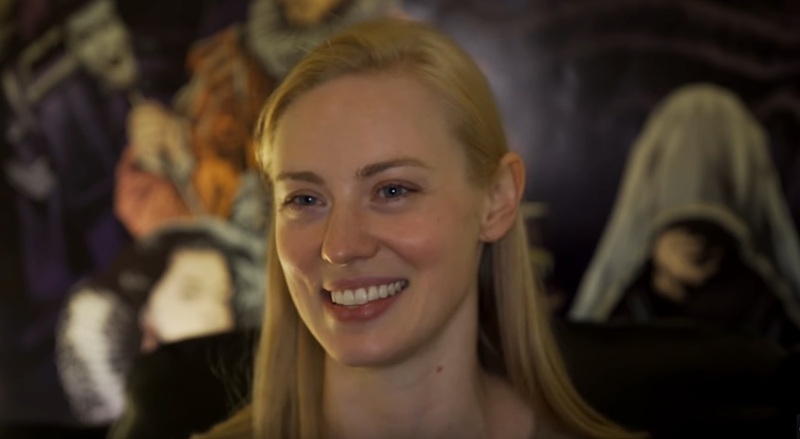 I really enjoyed these two interviews on the D&D Beyond channel with actors Deborah Ann Woll (True Blood, Daredevil) and Joe Manganiello (True Blood, Justice League, Magic Mike), both D&D fanatics. In Deborah's interview, she talks about how she got started in the hobby, what kind of characters she likes to play (fighters, surprisingly enough), and her thoughts on the current D&D renaissance. One interesting observation she makes about RPGs as a unique form of acting/theater: When a party saves a character or survives an ordeal, or otherwise experiences a dramatic moment, there's often an intense, visceral response from the players that she says she doesn't experience in any other type of acting. As an actor, she longs to evoke this kind of response in people, so that's one of the things that draws her to D&D. In the Joe Manganiello video, we get a tour of his E. Gary Gygax Memorial Dungeon (think: MTV Cribs for nerds) and hear about how he got back into the hobby after a long hiatus and how he went about converting his basement wine cellar into this enviable game space. The large dragon, beholder, and mind flayer sculptures are very cool. Joe also talks about the impact that D&D had on him as a kid and how he learned foundational skills in storytelling, world-building, and acting that he later employed as a professional actor. D&D was his gateway drug. If you have an avid gamer on your holiday gift list, here are some great game gift recommendations for 2018. 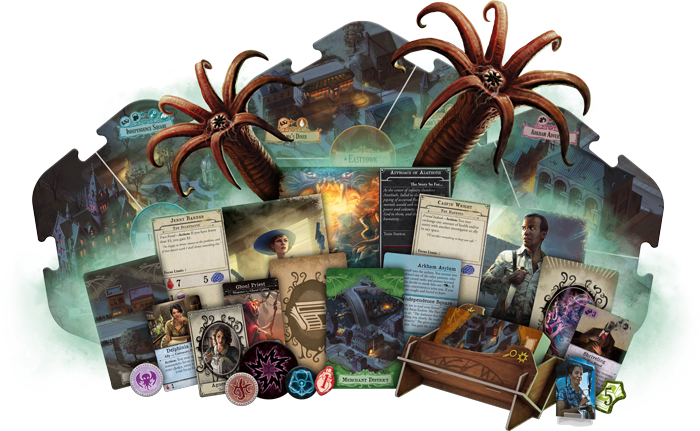 You can also find plenty of other candidates in the "What's new in tabletop gaming" pieces I posted this year. 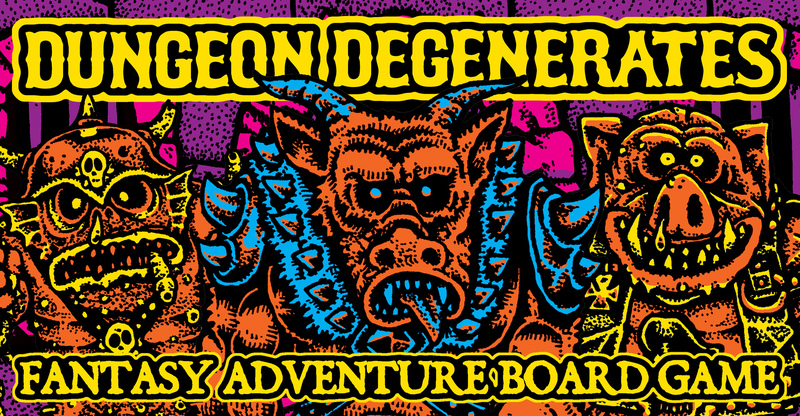 Also, check out the Boing Boing Toys and Games gift guide for a few additional suggestions. Game design doyen Martin Wallace is probably best known for railroad and civilization-building games (Age of Steam, Railways of the World, Brass, London, Struggle of Empires). His latest, Wildlands, is a grand and glorious departure. The game, published by Osprey, is gorgeous, easy-to-learn, fun to play, and very replayable, with lots of play choices and tactical depth (and already emerging expansions). Designed for up to 4 players, Wildlands is a card-driven fantasy skirmish board game with 20 beautifully-detailed, primed, and pre-washed miniatures. 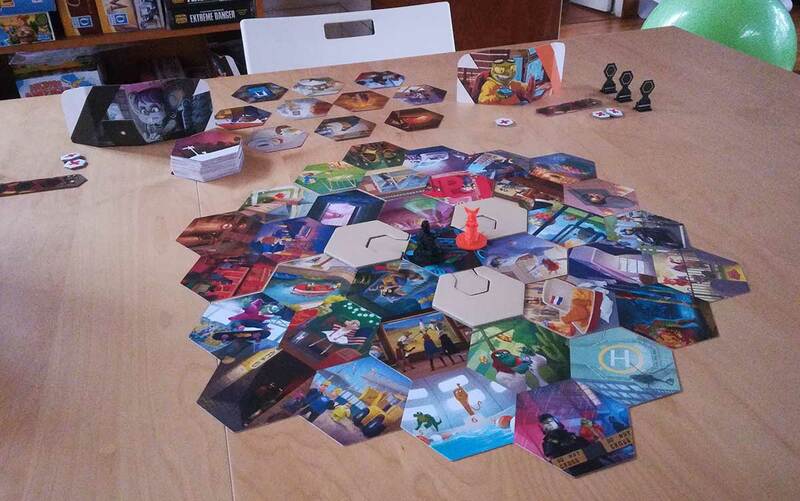 Four different factions, with different strengths and abilities, attempt to collect “arcane crystals” scattered over one of a two-sided game board. 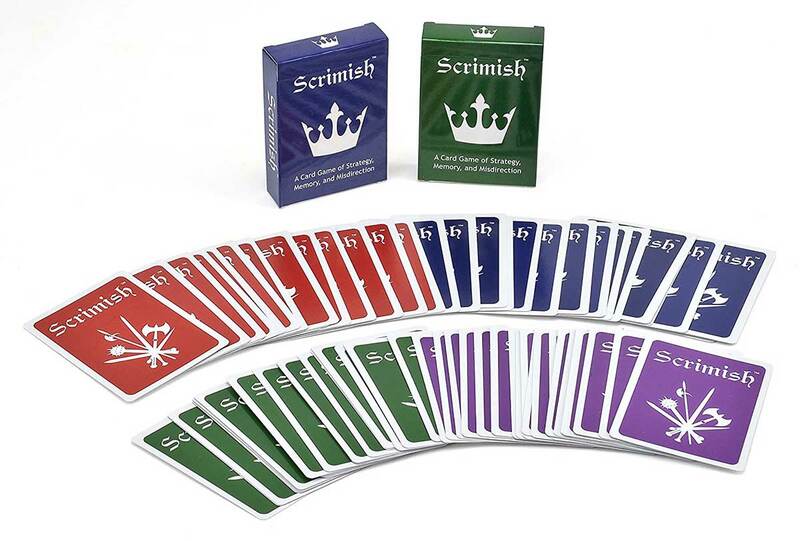 A hand of action cards, with multiple choices on each card, determine what each faction can do on each turn in their quest to vanquish foes and acquire crystals. The mechanics are elegant, the action, relentless and tense. Like last year’s Betrayal at Baldur’s Gate, Wildlands is a great way to introduce timid newbies to the world of fantasy miniature gaming and light dungeon delving. 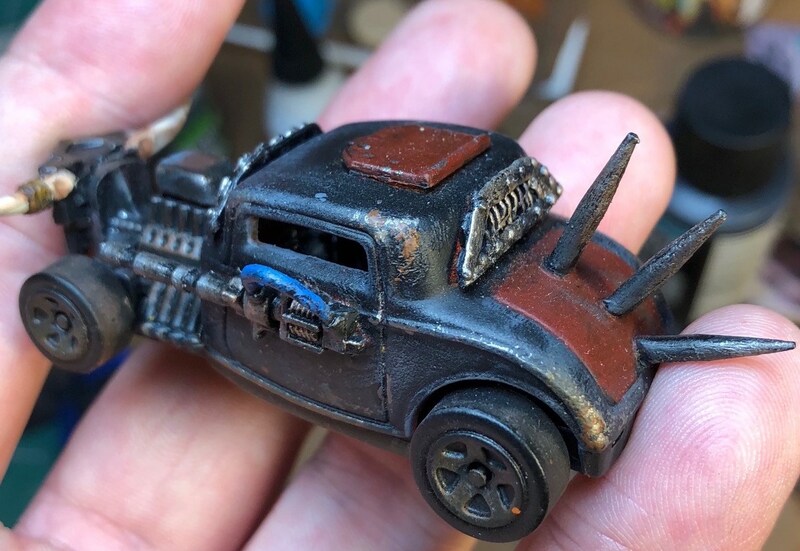 Gareth Branwyn has a fun tutorial on Make: about how to convert Hot Wheels and Matchbox toy cars into combat vehicles for the tabletop game, Gaslands. In Gaslands, you put together a racing crew using die cast toy cars (Hot Wheels, Matchbox, etc) that you have modified to create combat cars. Then, using special dice and movement templates, you take turns racing through a scenario while fighting off other players’ cars using weapons and various dastardly deeds that you pay for in points as you outfit your crew. In many game scenarios, you have 50 points (called “Cans”) to spend on your cars and their weapons and special abilities. The game has a very basic but evocative backstory where the rich and powerful have left Earth and become Martians, abandoning a dying Earth and most of its population to fend for itself. For entertainment, the Martians host an anything-goes vehicular combat reality game show, called Gaslands, back on Earth. The show is televised, and hugely popular, on Mars. Winners of each game show season earn a one-way ticket to Mars, and an escape from the miseries of Earth. One of the most compelling things about Gaslands is that you spend around $13 for the rule book and then you have to basically build the rest of the game yourself. There are templates and markers in the back of the book to print out and mount, terrain and buildings to build, and most fun of all, you get to convert and Mad Max-ify toy cars. I have been a tabletop/roleplaying gamer, off and on, for most of my life. Miniature modeling, painting, and terrain building have always been my favorite aspects of this wide-ranging and very maker-friendly hobby. As I've given in even more completely to my game-related obsessions these past few years (I may be in line for an intervention), painting minis has become my daily go-to activity for relaxation, creative expression, and escapism. I pretty much live for my painting and modeling sessions each night. I'm really enjoying focusing on painting and trying to get as good at it as possible. I am currently painting up a bunch of Frostgrave wizard warbands, adversaries, and terrain, several teams for Gaslands (and suitably Mad Max-ian terrain), and the recent plastic OGRE miniatures. After several years of nearly daily painting, I can now look back on my experience with some sense of what I did wrong. I was struck when I saw this video on Miniac because Scott touches on most of the key tips and cautions that I would share at this point. Besides what he listed, I would add a few of my own. One of the hallmarks of the highly-successful miniatures skirmish game Frostgrave is that it has a fairly simple, elegant rule set. But like all games that become this popular, Osprey has been cranking out the supplements, accessories, and even a spin-off game (Frostgrave: Ghost Archipelago). 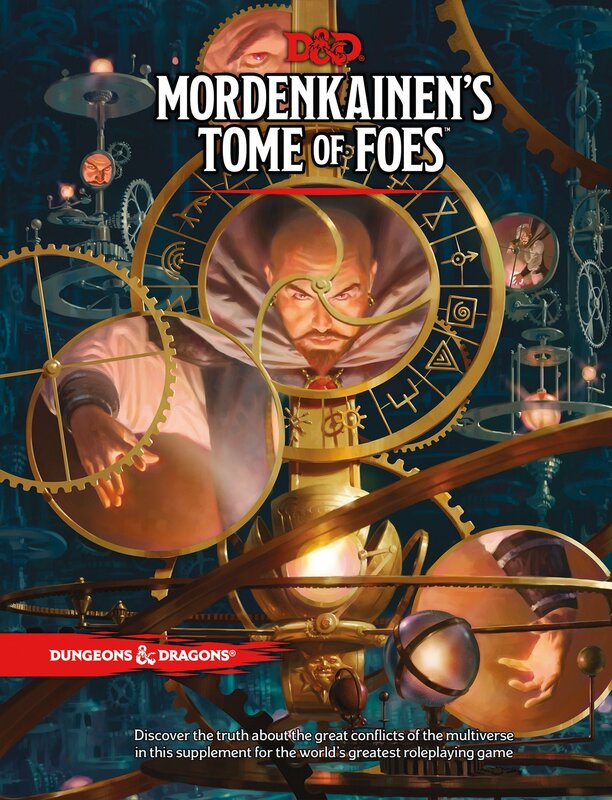 With such rapid expansion, it quickly becomes difficult to keep track of all of the new magic spells, monsters, treasures, new characters, and the like. Because the game is basically about dueling wizards and their warbands fighting over treasure, there were already a lot of magic spells to choose from in the core rulebook. But after four major supplements, the spell lists were getting a little unwieldy. Enter The Grimoire, a lovely boxed set of 122 magic spells cards which includes all of the spells, from all of the wizard schools, from the core rules and all supplements to date. This includes the just-released Maze of Malcor. Last month, I posted the first of what I hope will be a series of Boing Boing articles looking at the latest tabletop miniature, board, card, and roleplaying games, and some of what's going on in tabletop gaming culture. Here is some of what's been holding my attention this month. Mythic Battles: Pantheon Monolith Games, 1-4 Players, Ages 14+ I was bummed when I thought I wouldn't have an opportunity to plug this game here on Boing Boing. Mythic Battles: Pantheon was a Kickstarter exclusive game in 2016, a campaign in which Monolith/Mythic Games raked in nearly US$2.7 million. I was lucky enough to be one of the backers. The rewards for the base game and stretch goals amounted to two gigantic doorstop boxes filled with some of the most gorgeous, detailed minis, boards, cards, and other components I've ever seen. There are few recent games (see Rising Sun below) that are lovelier than Mythic Battles. A board game/miniatures hybrid, Mythic Battles pits (usually) 2 players and their hosts of Greek gods, titans, monsters, and heroes against each other.